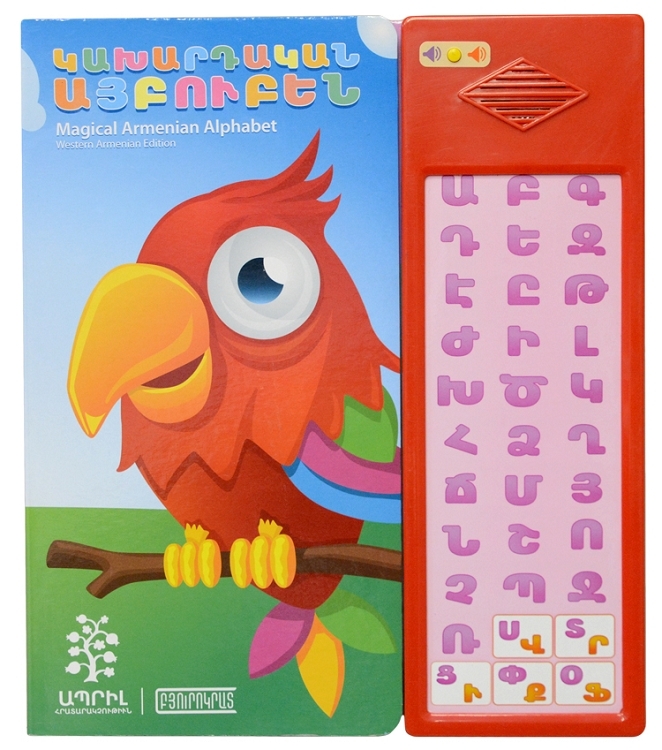 With this wonderful talking Aypupen (Armenian alphabet - Western Armenian edition), it is possible to easily and quickly learn to read, write and pronounce the letters of the Armenian Alphabet. 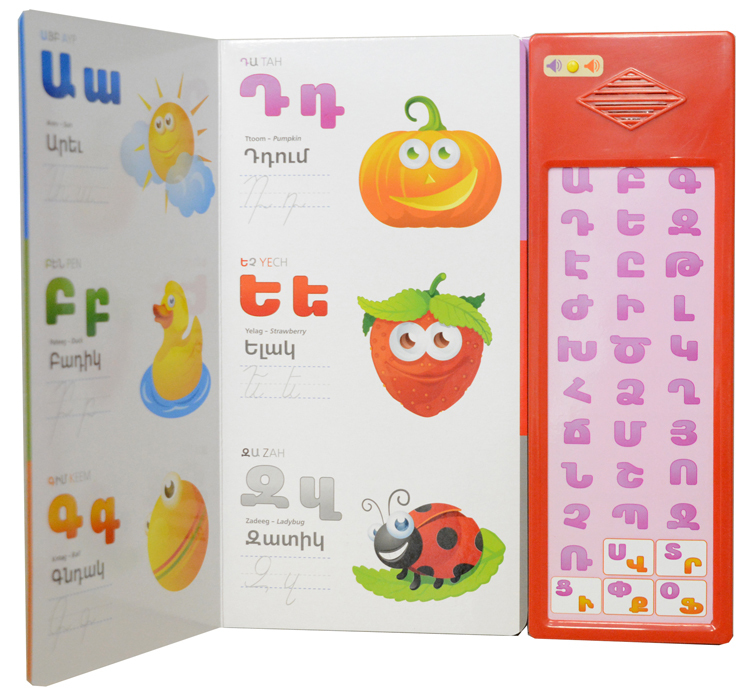 A 12 page book,(part of the set), filled with pictures identifying objects with their 1st letters, allows the child to see and hear at the same time. Printed on heavy cardstock for durability. 3 AAA batteries included.